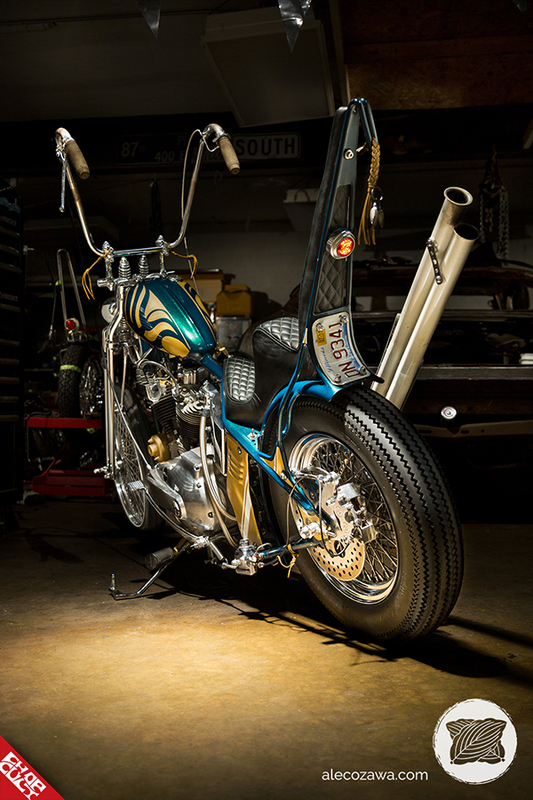 Born in a two-car garage amidst the sound of a radio blasting outlaw country, this ironhead runs on the power of 1000 turkeys and the spirit of the dragon. The Turkey Dragon has logged thousands of miles throughout its construction, moving from Illinois to Compton and back again with builders Gary Rzeszutko and Alex Radovanovitch. 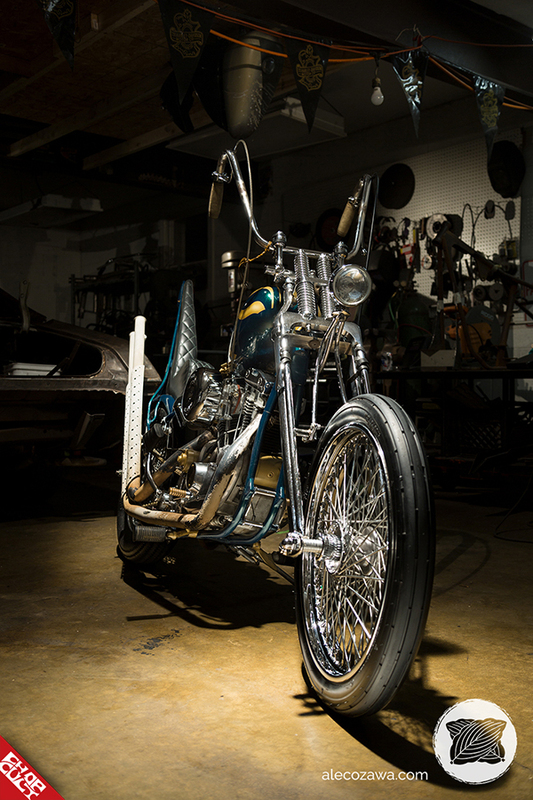 The two spent countless beers of hard work and imagination to make a bike that reflects the tradition of DIY and mythology of these outrageous machines. Frame/Chassis: Came with bolt-on hardtail that was booger-welded on. Fixed the welds for the hardtail and added a support plate. 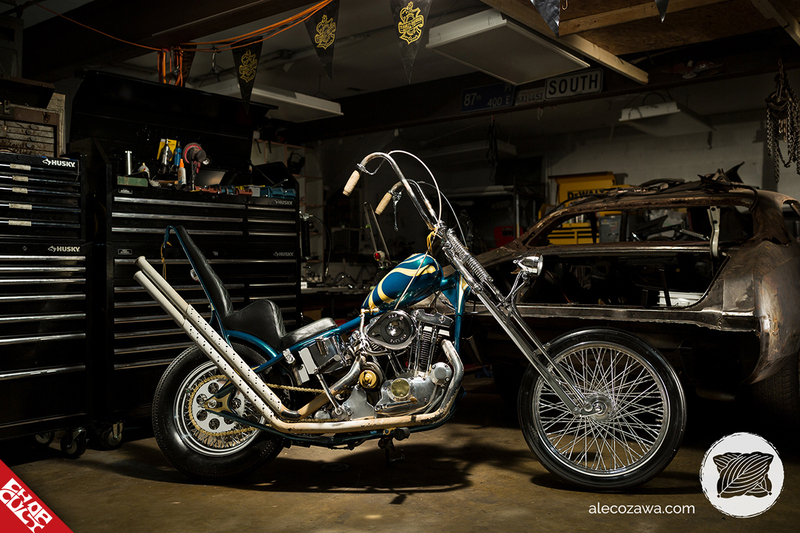 Welded/molded gas tank, fender, and sissy bar to the frame. Added faux sidecar mounts to front loop. Welded battery box on frame and fender. 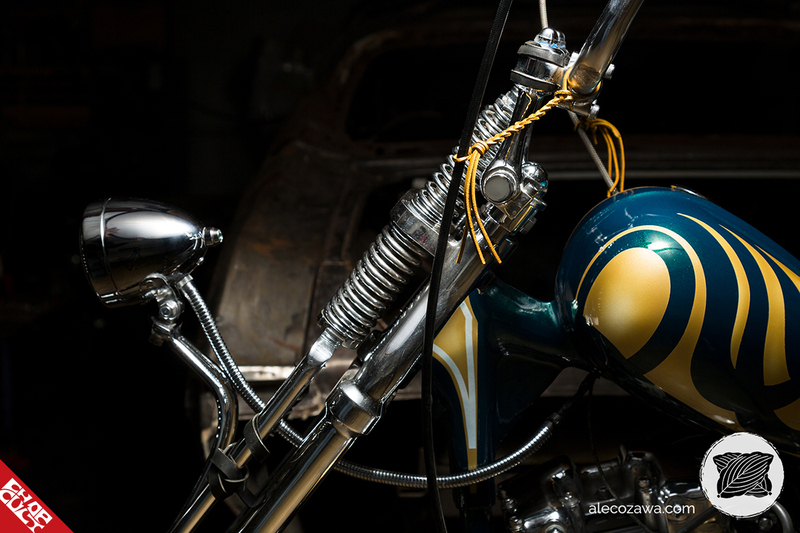 Vertical license plate mount molded on sissy bar and fender. 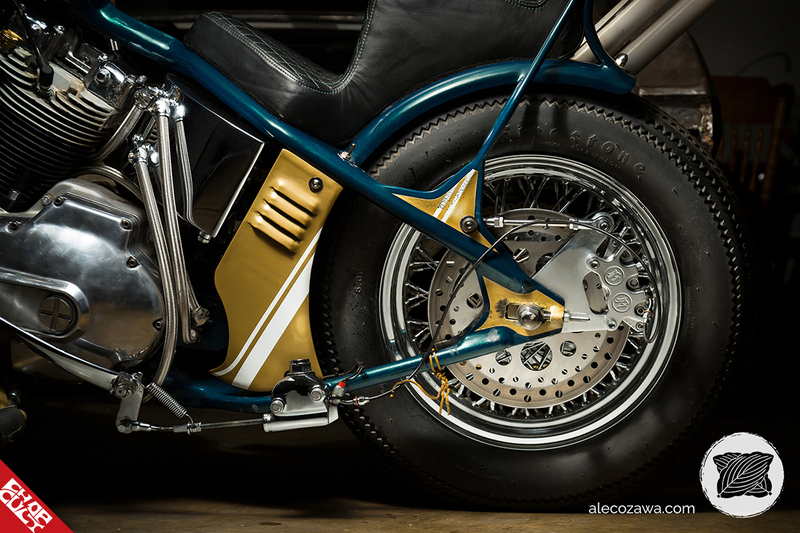 Wheels: Aftermarket 80 spoke FXR wheels. Converted from drum to Performance Machine rear disc brake. Paint: DIY space alien trippy green base color with gold and white secondary colors. Gold-painted generator. Gold battery box panel. White painted upsweeps. Secondary color accents throughout the bike. Seat: Adam Pierce seat. Black diamond plated with various-sized patterns. Green stitching. 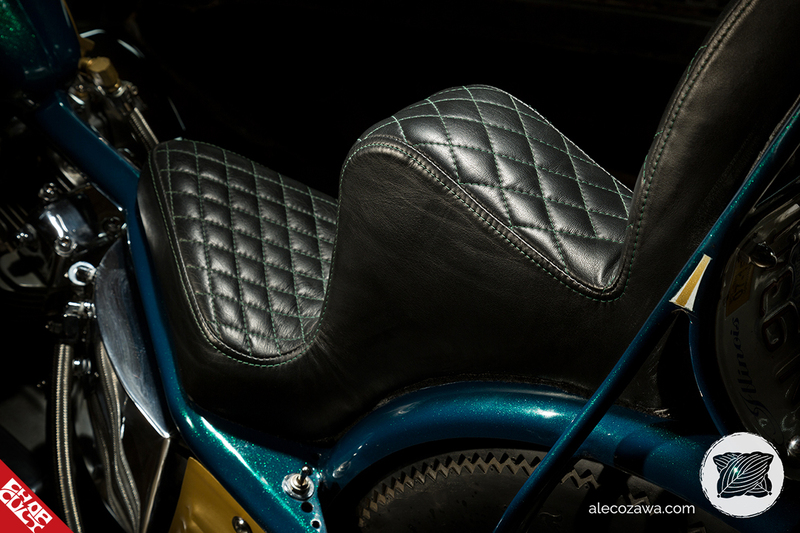 Custom seat pan with internal conduit hides tail light wiring. 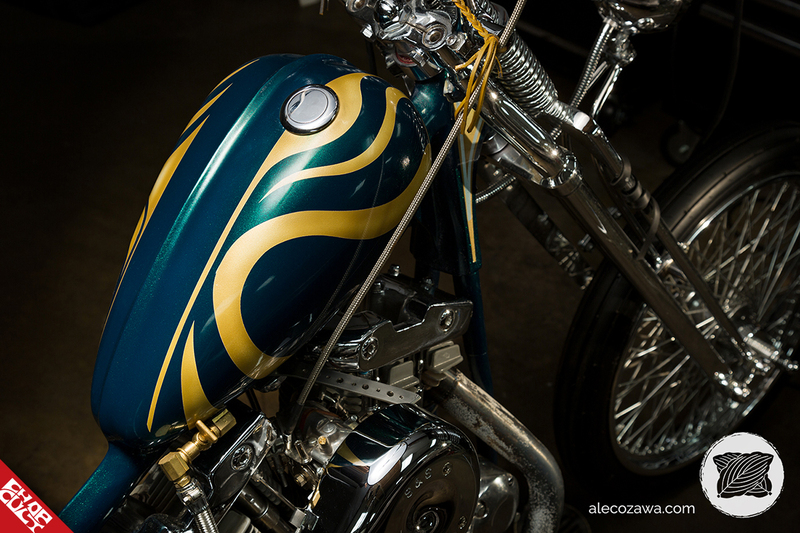 Exhaust: Custom upswept pipes with trumpet tips. Handmade and drilled heat shields welded to pipes. Be sure to follow Gary Rzeszutko and Alex Radovanovitch on Instagram. 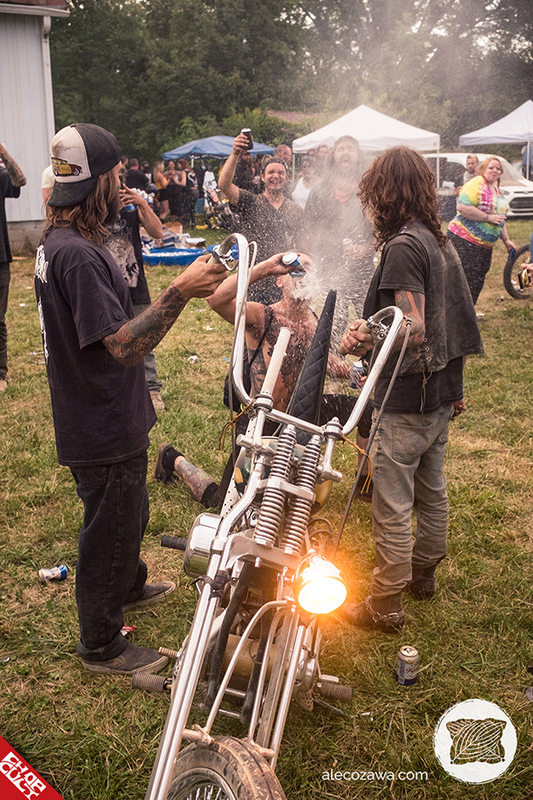 Editor's note: I would like to welcome Alec Ozawa to the ChopCult family, and I'm looking forward to working with him. Lisa. Very cool . Really like the out of the box paint scheme .